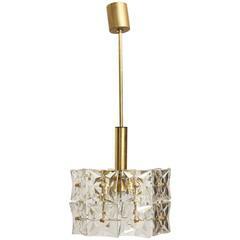 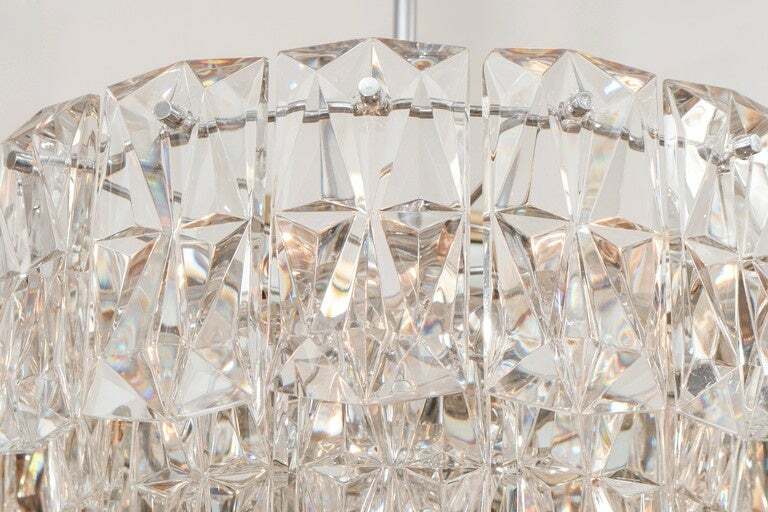 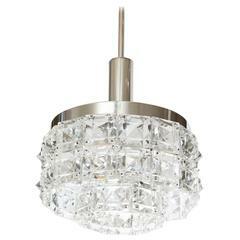 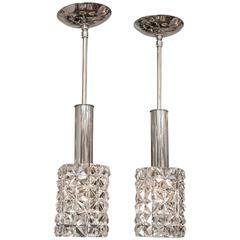 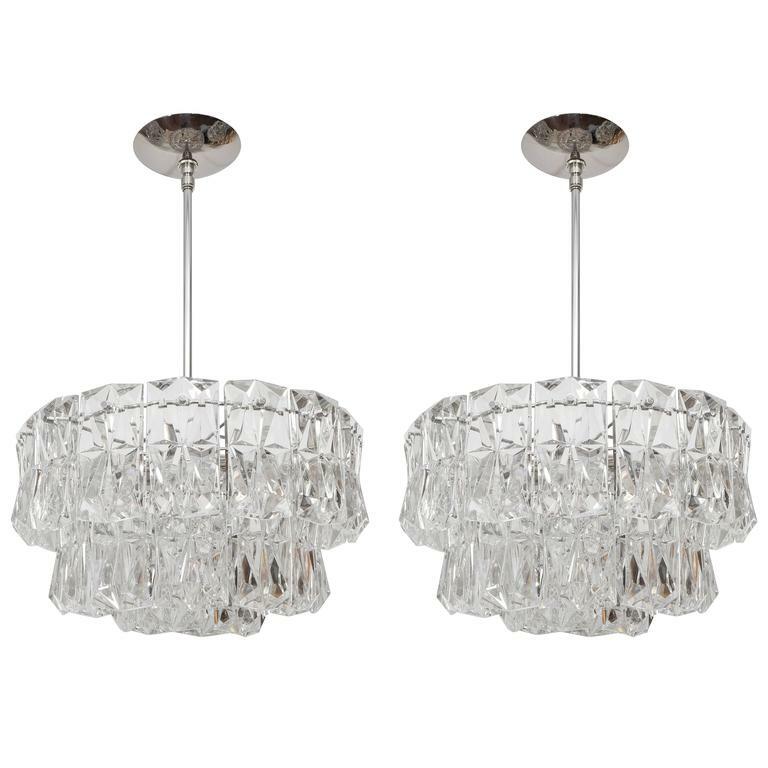 Petite polished nickel pendant fixture with cylindrical facet-cut crystal tile shade. 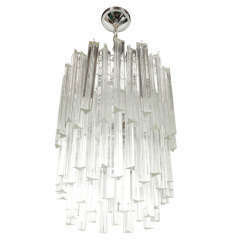 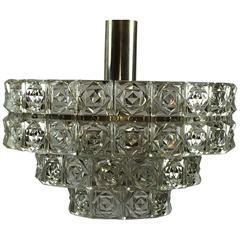 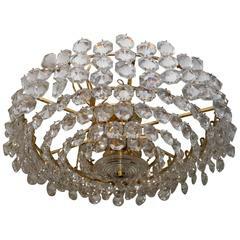 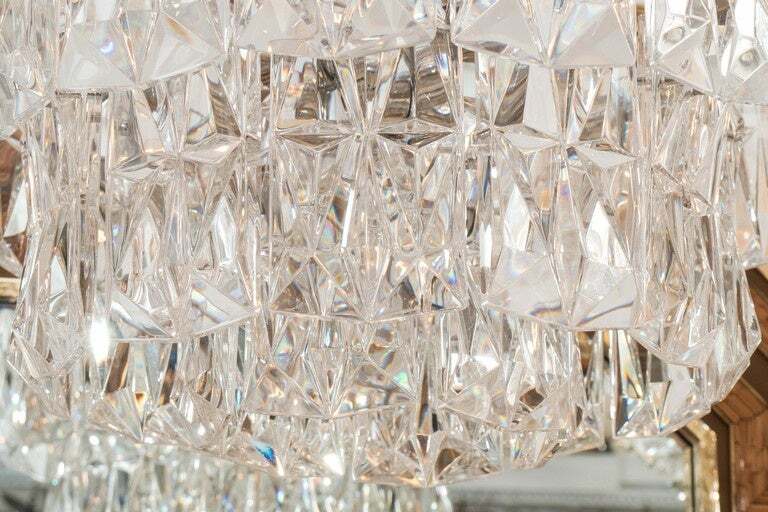 Early Kinkeldey chandelier with deep cut square crystals on a polished nickel stem and canopy. 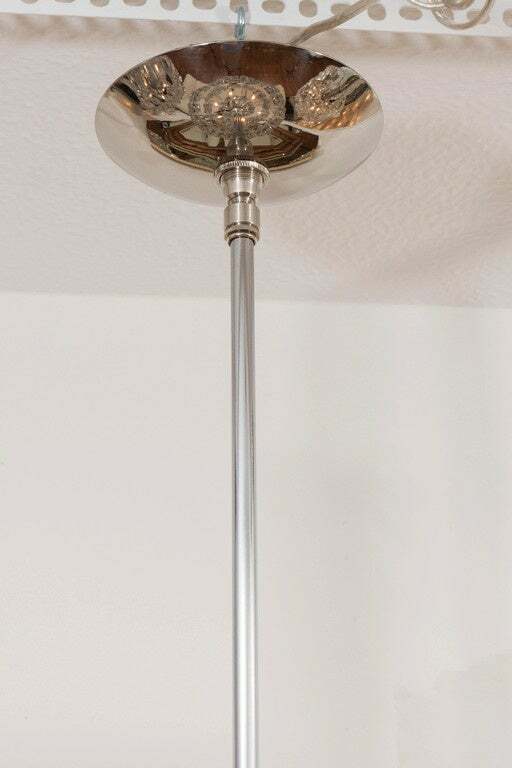 Rewired for use in the USA. 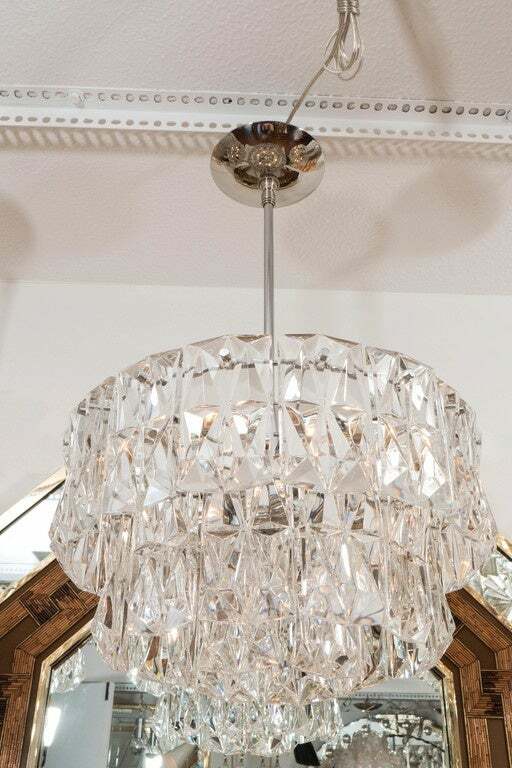 Uses one standard bulb. 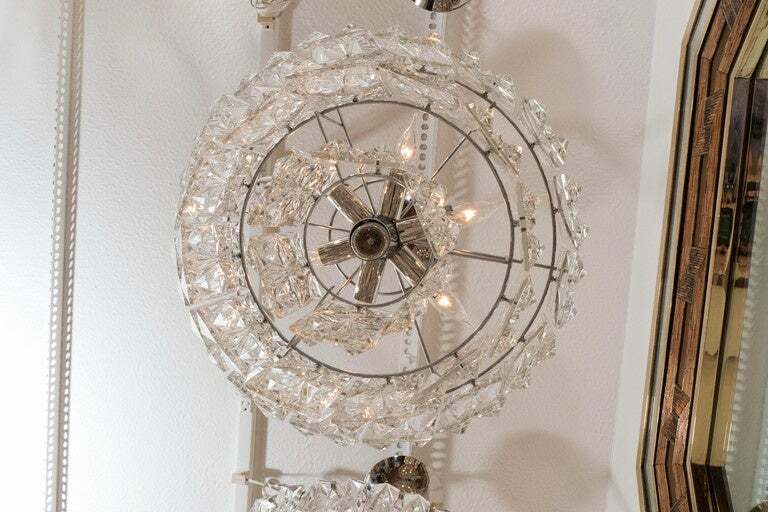 Chandelier body is 7.5 inches tall. 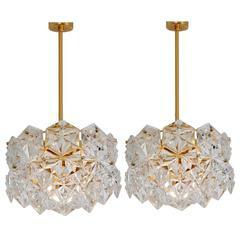 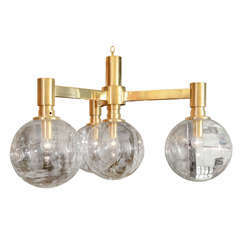 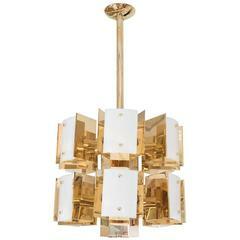 Tiered brass and facet cut-glass element chandelier.